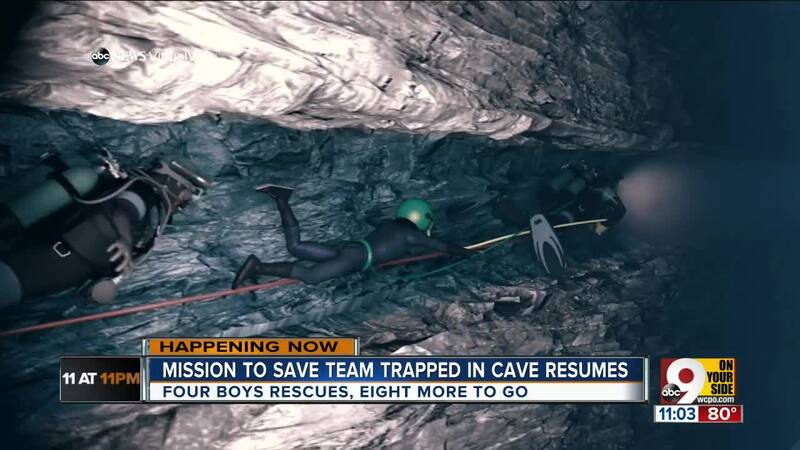 Thai authorities say they have resumed operations to rescue members of a boys' soccer team trapped in a flooded cave after successfully getting four of the boys out Sunday. "I told myself he will be alright…But I didn't say it out loud." Sam Teller, spokesman for Boring Co., said Sunday that the company has four engineers who are "offering support in any way the government deems useful." 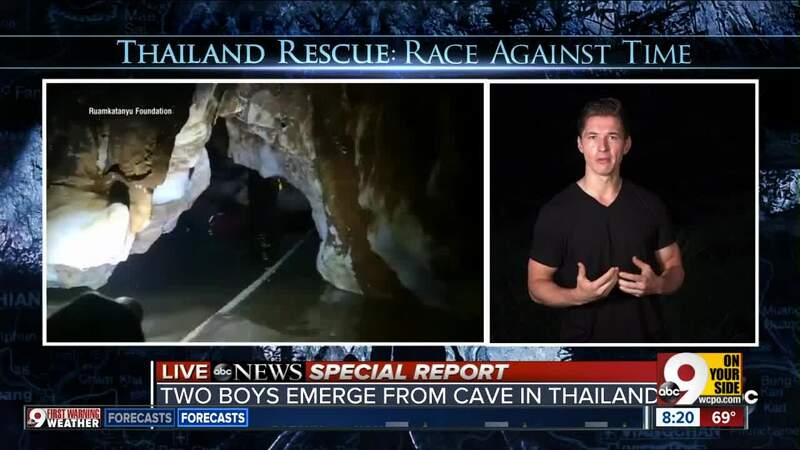 Two boys rescued from being trapped in a cave with their soccer team and coach in Thailand are loaded into ambulances before being transported for treatment at a hospital in Chiang Rai.